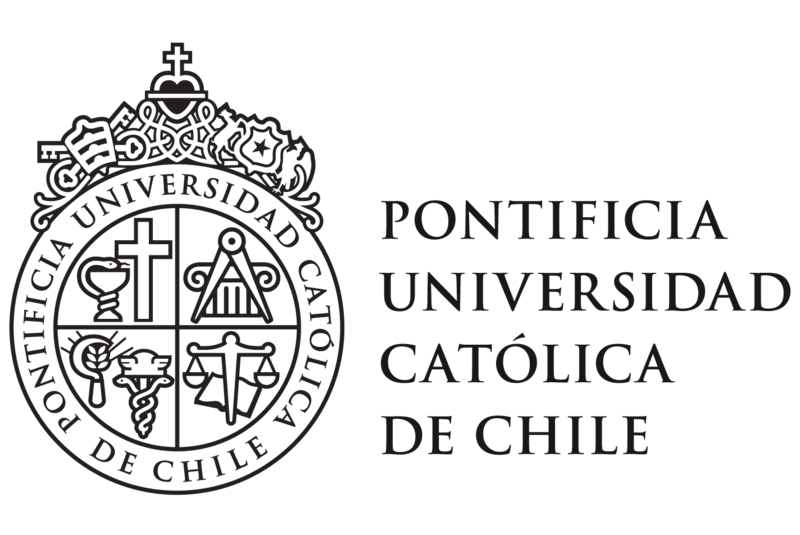 · Cortes PA, Bozinovic F & Blier PU (2018) Mitochondrial phenotype during torpor: Modulation of mitochondrial electron transport system in the Chilean mouse–opossum Thylamys elegans. Comparative Biochemistry and Physiology Part A: Molecular & Integrative Physiology 221: 7-14. Doi: 10.1016/j.cbpa.2017.12.014. · Fariña JM, He Q, Silliman BR & Bertness MD (2018) Biogeography of salt marsh plant zonation on the Pacific coast of South America. Journal of Biogeography 45: 238-247. Doi: 10.1111/jbi.13109. · Muñoz-Pedreros A, Yañez J, Norambuena HV & Zuniga A (2018) Diet, dietary selectivity and density of South American grey fox, Lycalopex griseus, in Central Chile. Integrative Zoology 13: 46-57. Doi: 10.1111/1749-4877.12260. · Nespolo RF, González-Lagos C, Solano-Iguaran JJ, Elfwing M, Garitano-Zavala A, Manosa S, Alonso JC & Altimiras J (2018) Aerobic power and flight capacity in birds: a phylogenetic test of the heart-size hypothesis. Journal of Experimental Biology 221. Doi10.1242/jeb.162693. · von Dassow P, Díaz-Rosas F, Bendif EM, Gaitán-Espitia JD, Mella-Flores D, Rokitta S, John U & Torres R (2018) Over-calcified forms of the coccolithophore Emiliania huxleyi in high-CO2 waters are not preadapted to ocean acidification. Biogeoscience 15: 1515-1534. Doi: 10.5194/bg-15-1515-2018. · Menares F, Carrasco MA, González B, Fuentes I & Casanova M (2017) Phytostabilization ability of Baccharis linearis and its relation to properties of a tailings-derived technosol. Water Air Soil Pollut (2017) 228: 182. DOI 10.1007/s11270-017-3348-y. PDF. · Root-Bernstein M, Guerrero-Gatica M, Pía L, Bonacic C, Svenning JC & Jaksic F (2017) Rewilding-inspired transhumance for the restoration of semiarid silvopastoral systems in Chile. Regional Environmental Change 17: 1381-1396. Doi: 10.1007/s10113-016-0981-8. · Root-Bernstein M, Valenzuela R, Huerta M, Armesto J & Jaksic F (2017) Acacia caven nurses endemic sclerophyllous trees along a successional pathway from silvopastoral savanna to forest. Ecosphere 8. Doi: 10.1002/ecs2.1667. · Sol D, Bartomeus I, González-Lagos C, Pavoine S & Haddad N (2017) Urbanisation and the loss of phylogenetic diversity in birds. Ecology Letters 20: 721-729. Doi: 10.1111/ele.12769. · Contreras-Reyes JE, Canales TM & Rojas PM (2016) Influence of climate variability on anchovy reproductive timing off northern Chile. Journal of Marine Systems. 164: 67-75. http://dx.doi.org/10.1016/j.jmarsys.2016.08.006. · Delebecq G, Davoult D, Janquin MA, Oppliger LV, Menu D, Dauvin JC & Gevaert F (2016) Photosynthetic response to light and temperature in Laminaria digitata gametophytes from two French populations, European Journal of Phycology 51(1): 71-82. · Ledger T, Rojas S, Timmermann T, Pinedo I, Poupin MJ, Garrido T, Richter P, Tamayo J & Donoso R (2016) Volatile-Mediated Effects Predominate in Paraburkholderia phytofirmansGrowth Promotion and Salt Stress Tolerance of Arabidopsis thaliana. Microbiol. 7:1838. doi: 10.3389/fmicb.2016.01838. PDF. · Petitpas R, Ibarra JT, Miranda M & Bonacic C (2016) Spatial patterns in a 24-year period show a case of increase forest cover and decrease fragmentation in Andean temperate landscapes, Cien. Inv. Agr. 43(3):384-395. · Rivera DS, Lindsay C, Codocedo JF, Morel I, Pinto C, Cisternas P, Bozinovic F & Inestrosa NC (2016) Andrographolide recovers cognitive impairment in a natural model of Alzheimer’s disease. Neurobiology of Aging: 204-220. http://dx.doi.org/10.1016/j.neurobiolaging.2016.06.021. · Rodríguez-Córdova LA, Sáez-Navarrete CA, Ishanoglu V, Herrera L & Ginocchio R (2016) Tolerance of Magellan fungi in peat to anthracene and n-dodecane for potential use in bioremediation. Inv. Agr. 43(1):85-93. · Bozinovic F & DE Naya (2015) Linking physiology, climate and species distributional ranges. In: Martin, L.B., Ghalambor, C.K., and A. Woods (eds.). Chapter 17, pp: 277-290. Integrative Organismal Biology. John Wiley & Sons, Inc., New York, 344 pp. · Skewes, O & Jaksic, FM. 2015. History of the introduction and present distribution of the European wild boar (Sus scrofa) in Chile. Mastozoología Neotropical 22: 113-124.